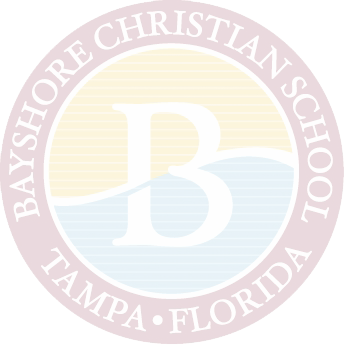 Welcome to the Bayshore Christian School Fall Sports page. Please select from a sport below for schedules, rosters, pictures, and important information. Practices are Monday, Tuesday, and Thursday if there are no matches scheduled for the day. Practice is from 3:30 to 5:30 p.m. at the Pinarama Bowling Lanes on 5008 S. Dale, Mabry. We are working on a schedule for the beginning of the school year, and once finalized, we will give it to the team. Matches are on Monday, Tuesday, and Thursday in lieu of practice. If we have a Saturday practice, we will notify the team ahead of time. Home matches take place at Pinarama Bowling Lanes. We do not permit students to bring snacks into any of the bowling alleys. Eating during the matches is a distraction and greasy French fries make for greasy fingers. Students may eat a snack on the bus as long as they clean up after themselves. Directions to matches are on the C2CSchools website. The school will provide transportation to Pinarama for practices, but we ask parents to pick up their student on time. The school provides transportation to all matches. We ask that parents help car pool students either home or back to school. Students must have a FHSAA physical and additional forms completed before they can attend practice. Please pick up a packet in the school office. There is a notary located in the school office. The physicals are good for all sports and expire 365 days from the doctor’s signature date. The team uniform for all matches will consist of the team shirt and school uniform pants or shorts. We play the Bay Conference before the district tournament. The district tournament is October 28. The location is yet to be determined. The uniform for both events is team shirt and long pants (no shorts). Practice for the district matches is at the location of the district tournament. We have had a few students qualify for the State Championships. The State Championship is in Orlando at Boardwalk Lanes on November 6 and 7. We go to Orlando the day before to practice and settle in. The tournament begins at 7:00 a.m. on November 6. If a student qualifies, matches will continue through the afternoon. Only students that win the afternoon qualification rounds continue to November 7. Please contact Coach Margie Swinford at 839-4297 ext. 300. Nicole Kemp is entering her 6th year as head cheerleading coach and Amanda Ho is entering her 1st year as assistant cheerleading coach for Bayshore Christian School. Both are alumni of Bayshore Christian School and the cheerleading program. The mission of the Faith Warrior cheer program is to instill positive values in our athletes while supporting our athletic programs, offering service to our community, and representing our school as positive role models. We believe in a set of values which we pride ourselves upon and these values are what we want to instill in our cheerleaders. Not only are we in the business of building a successful program but, we are primarily in the business of building morally, ethically, socially, mentally, and physically fit young men. If we are successful in teaching these concepts, the wins and losses will take care of themselves. I am certain that the program that we propose can accomplish our objectives. Academic and athletic success is attainable for all student-athletes who are committed to being the best that they can be. In order to be successful the student-athlete must concentrate his efforts in both areas. The student-athlete is a special person who is essentially held accountable for two full-time jobs. His first job is to be the best student he can be. The second is to be a committed team player. Student-athletes that work hard in the classroom usually work hard on the practice and game field. We will ensure this by having weekly study halls and weekly eligibility reports. By monitoring our student-athletes academic and behavioral progress closely, we can practically ensure proper academic advancement.